We are committed to providing a high-quality service experience when you need roofing repair in Bradford. 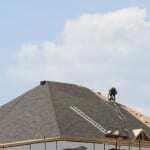 Learning that you need roofing repair can be a stressful event. You may not know who to turn to or which company will provide the services that you truly need. At Slippery Slope Roofing, we are committed to providing a high-quality service experience when you need roofing repair in Bradford, Ontario, and we’ll make sure you are completely satisfied with the results. Our team is equipped to handle any job, large or small, and we know our attention to detail and customer care will tell you that you have come to the right place. Attention – One of the things that sets us apart at Slippery Slope Roofing is our level of attention to customer care. We only complete one job at a time, so you know you are getting the best service possible during your roofing repair project. Protection – We are fully insured, accredited by the Better Business Bureau, and have the expertise to assist you if you have a WSIB claim. You’ll know you are protected when you choose our team for your roofing repair. Security – Having a properly built roof is what gives your home security while you are there and while you are away. You’ll feel great knowing that our team has given you our undivided attention, used high-quality materials, and made sure you are completely satisfied during your roofing repair project. If you have questions about our roofing services, need to discuss your roofing repair job, or are interested in one of our other services, please contact us at Slippery Slope Roofing today. With over 50 years of experience in the roofing industry, we know we are your first choice for all your roofing needs in Bradford.